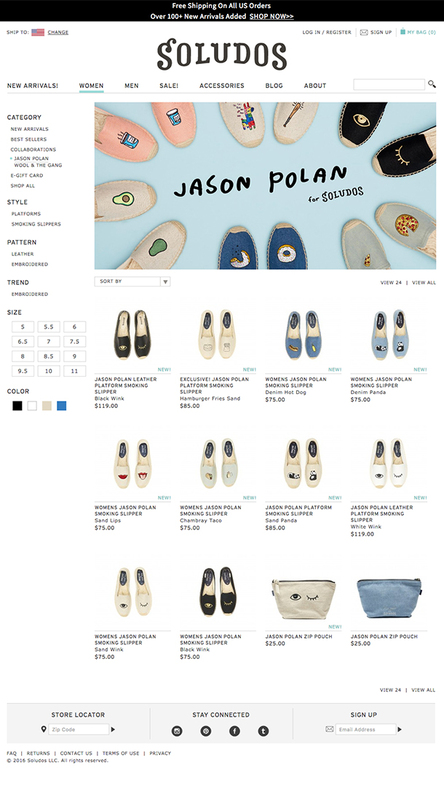 Soludos celebrates everlasting summer with their espadrilles. The Soludos shoes are based on the traditional espadrilles sold in the markets and worn on the beaches of the Mediterranean. 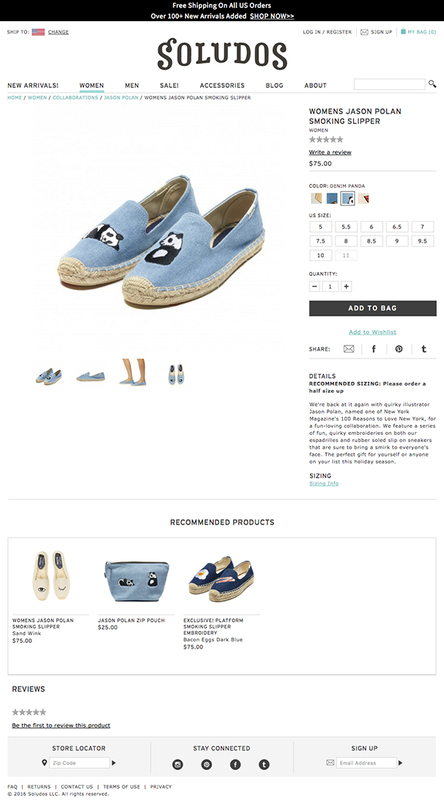 Soludos wanted to increase site performance and conversion rates with a responsive web design. 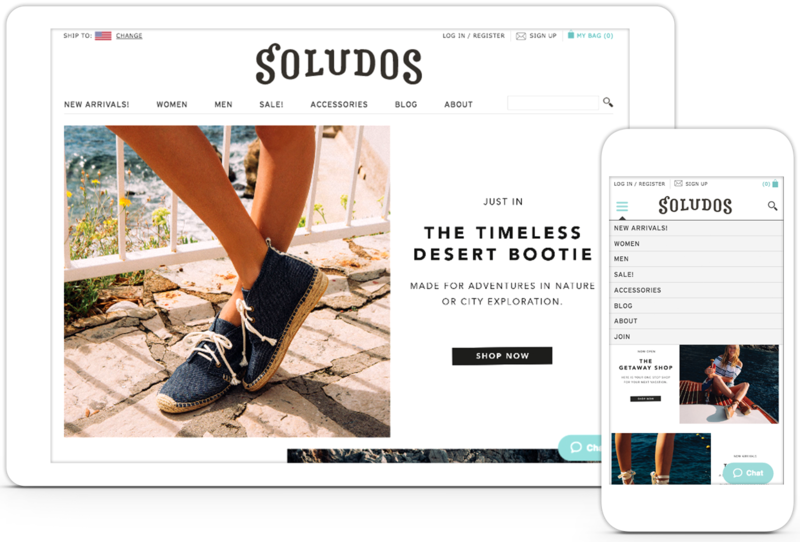 Something Digital replatformed the Soludos website from Magento Community to Enterprise 1.13 and built a responsive theme that retained the existing brand elements. 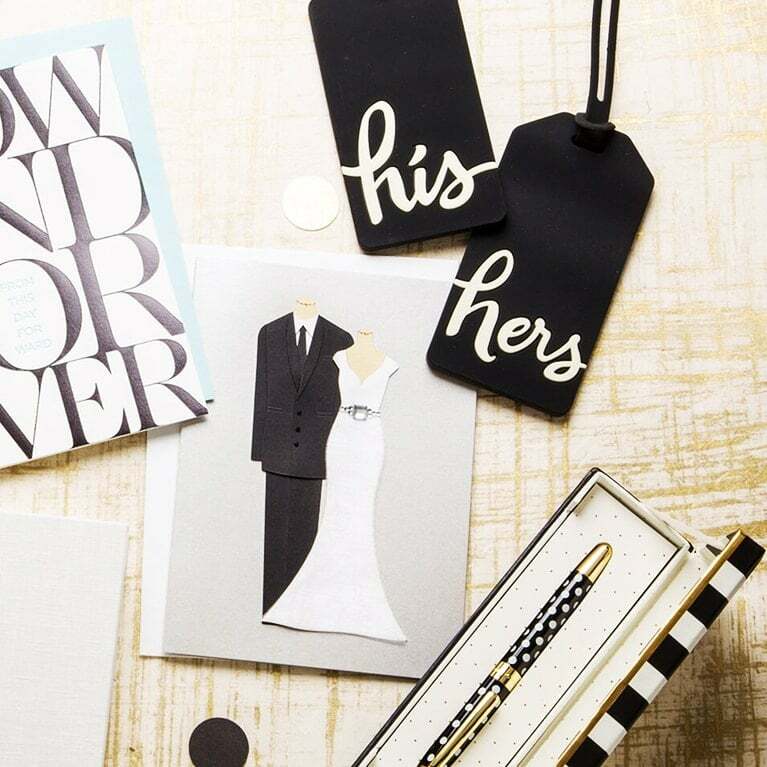 Their site has a fresh look that performs better and extends the way customers can make a purchase. Purchasers have the ability to log in through Facebook and pay through PayPal. As an immediate result of the effort Soludos saw a 33% increase in conversion from mobile users within one month of launching the new site. Within 3 months of launch we saw a steady increase in revenue, average order value, conversion rate, and number of transactions. 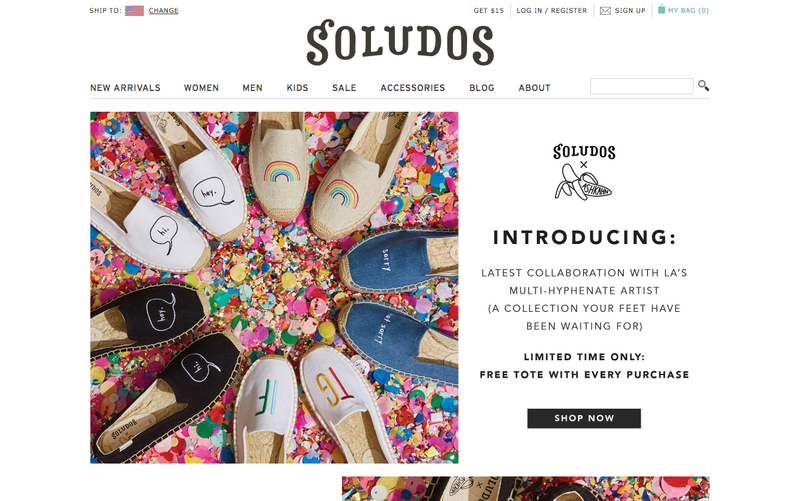 Soludos saw a 33% increase in conversion from mobile users within one month of launching the new site.